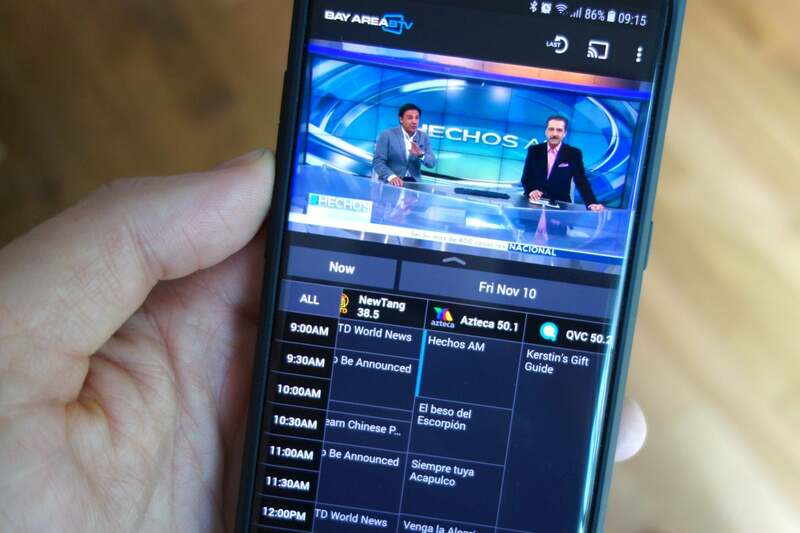 There’s a new way to watch local TV on your PC or smartphone, and at no cost. Didja, a Silicon Valley-based company, is taking over-the-air TV channels and packaging them for streaming to apps and web browsers. The service is already live in the San Francisco Bay Area and Phoenix, with Los Angeles planned next. The company hopes to be in the 40 biggest metropolitan areas of the U.S. by the end of 2019. The service is available via the web or apps for Android and iOS. Support for big-screen viewing is included via Apple TV or Chromecast. The TV stations are received at Didja’s data centers, run through TV tuners, bundled with a TV guide, and streamed out over Apple’s HLS live streaming protocol to the app. 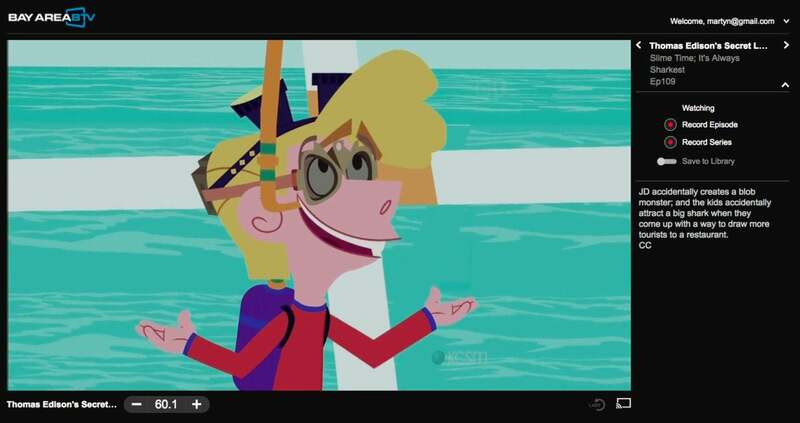 The result is a slick, easy to use way to watch local TV without an antenna. Perhaps most impressive of all, the channel switching is very fast. It doesn’t take more than a second to switch from station to station, just like on the TV in your living room. A two-week program guide is displayed under the TV program on both the web and smartphone apps and that can be used to schedule recordings using a cloud DVR service. Because the recordings take place on Didja’s server, you can record two or more stations at once while watching a third live on the phone. New subscribers get to try the DVR service for free for 30 days and then it’s $4.95 per month. If you choose not to pay, the TV service remains free. 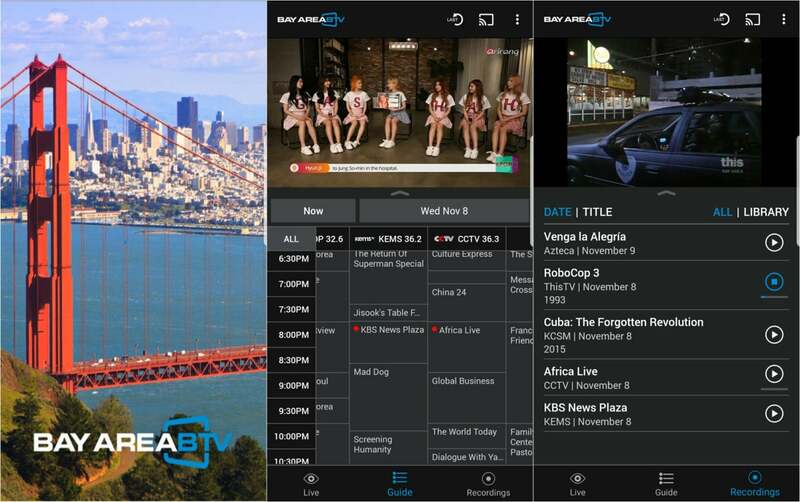 Didja’s Local BTV app for the San Francisco area (left) seen with a live TV, program guide and scheduled recordings (center) and playback of recorded programs (right). When Aereo tried a similar service in 2012, it faced a heap of copyright challenges by TV stations and was eventually shutdown after losing its case in the U.S. Supreme Court. Didja is getting permission from each TV station it carries to avoid the same fate, but that means the big-name stations aren’t included for now. So for now, viewers will find secondary digital networks and other local stations. In the Bay Area, the 35 TV stations on offer include This TV, Retro TV, Get TV, Buzzr, Azteca America, and several stations running Chinese, Vietnamese, and Korean programming. There are several music stations, home shopping, arts, and public TV, too. There are 27 stations available in Phoenix. The app also takes note of your location, and if you move out of your local TV market, you’ll lose access to the stations until you return. Public television station KCSM playing on Didja’s BayArea BTV service in a web browser. When the major networks do arrive, they won’t be available for free. Network affiliates generate revenue by charging cable companies for re-transmission of their signal—you might have seen the “local broadcast fee” on your cable bill—and internet-based services face the same costs: about $10 per month depending on the market. So Long plans to bundle the network affiliates with Didja’s cloud DVR service for about $15 a month. You’ll find the app in the Android Play Store or the Apple App Store.